A co-production of British company Television South, the Canadian Broadcasting Corporation, HBO and Henson Associates, Fraggle Rock was an international production created by Jim Henson featuring a mixture of live-action and Henson’s trademark puppets. Jim Henson amongst his creations. Fraggle Rock was the name of the subterranean world of the Fraggles; colorful little creatures with tails who like to sing, dance and play. The entrance to their world was located in what they call Outer Space, or the surface world, where the Silly Creatures, or human beings dwell. Using a mixture of comedy and music, the series was accessible to viewers of all ages and dealt with serious issues such as prejudice, the environment, social conflict and more through allegory. 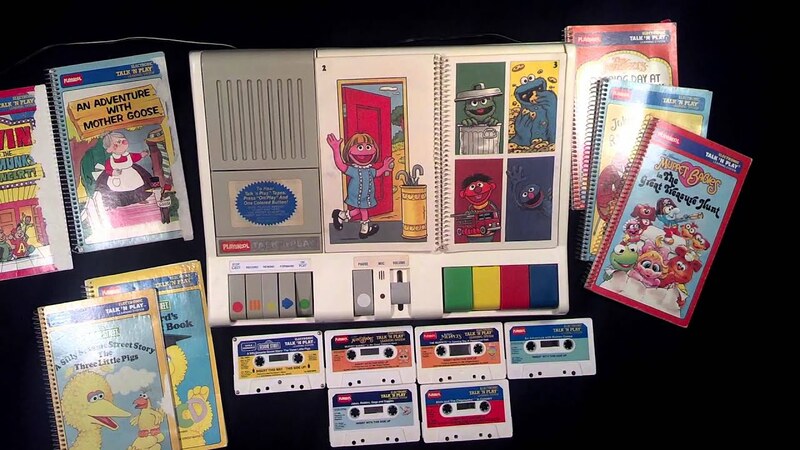 The series was the first collaboration of Henson International Television and Deluxe Digital Studios, while produced by Television South, the Canadian Broadcasting Corporation, HBO and Henson Associates (later Jim Henson Productions). Each episode was bookended by a live-action segment that featured the human who dwelled where the entrance to Fraggle Rock was located (aka a hole in the wall) with a small subplot that dealt with the overall theme of the episode. Unlike previous Henson projects, Fraggle Rock was produced with international markets in mind. As a result, the live segments varied in locations and actors in order to allow the viewers to relate to the world of the show. In America, New Zealand, the Netherlands, Ireland, Scandinavia, Spain and Eastern Europe, the human was inventor Doc (Gerry Parkes) and his dog Sprocket (portrayed by a puppet operated by Steve Whitmire with assistance by Karen Prell) in his workshop. The German version had a similar setting with Doc played by Hans-Helmut Dickow. The British version took place on a rocky lighthouse island with The Captain (Fulton Mackay) for the first two seasons, his nephew P.K. (John Gordon Sinclair) for the third, and his son B.J. (Simon O’Brien) in the fourth. In France, Doc was a baker played by Michel Robin set in a bakery he inherited from his eccentric inventor uncle Georges. Sprocket was called Croquette in that version. Wembly, Red, Gobo, Mokey and Boober and their animated counterparts. 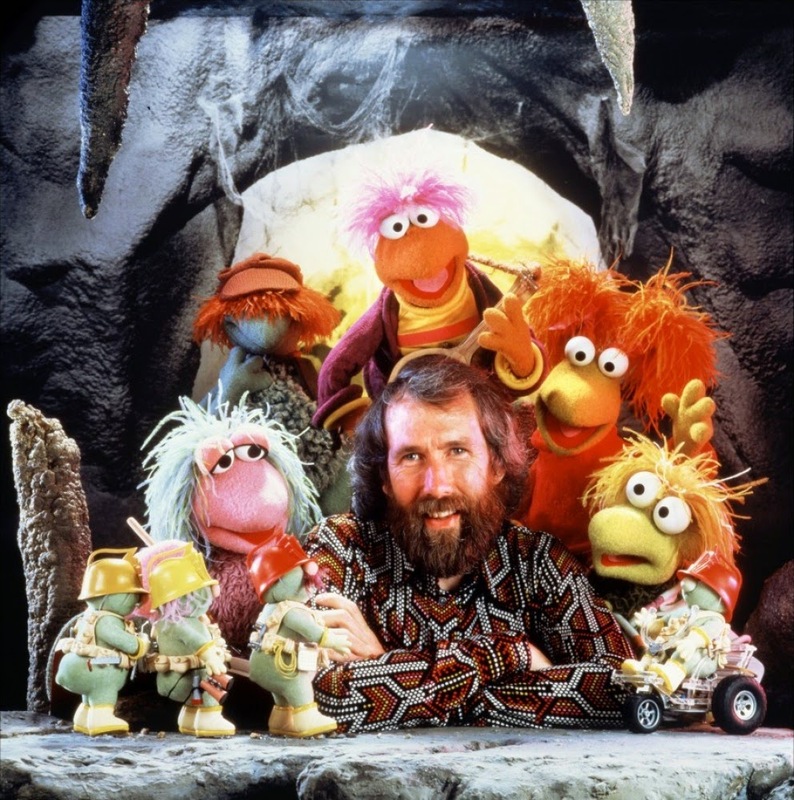 Fraggle Rock itself was inhabited by a variety of creatures. The series centered on five main fraggles: Gobo (Jerry Nelson puppet, Townsend Coleman animated), the de-facto “leader” of the group who was unusually level-headed for a Fraggle and played guitar when not exploring the Rock’s unknown regions; Red (Prell puppet, Barbara Goodson animated), who is highly athletic, the best swimmer in the rock, and often clashes with Gobo over who should be in charge in a given situation; Mokey (Kathryn Mullen puppet, Mona Marshall animated), a hippie-like Fraggle with strong spiritual and artistic inclinations; Wembley (Whitmire puppet, Bob Bergen animated), Gobo’s roommate and best friend who is the most cowardly of the group who tends to wemble—a Fraggle verb meaning “to be indecisive”; and Boober (Dave Goetz puppet, Rob Paulsen animated), a highly nervous and cautious Fraggle that tends to be a hypochondriac and takes great pleasure in doing the Fraggles’ laundry. Uncle Traveling Matt (also Goetz, Patrick Pinney animated) is Gobo’s uncle who spent most of his time exploring Outer Space and sent postcards back to Gobo describing his adventures interacting with The Silly Creatures. Matt’s name was a play on “traveling matte,” a green screen technique used to produce his flashback segments with him against footage of the human world. They were all designed by Michael K. Frith. The other primary residents of the Rock are smaller creatures known as Doozers, designed by Frith and built by Faz Fazakas. They were 6 inch tall pudgy green things with big noses that wore hard hats, work boots and gloves and used a variety of construction equipment to build strange, intricate structures all around the Rock. Those constructs were made of an edible candy-like material and the Fraggles’ other primary source of food next to radishes. Doozers were said to need to build to live, thus purposely made their constructs appealing to the Fraggles in order to continue to have room to build. The Gorgs: Junior, Pa and Ma. Fraggle Rock had another entrance which led to the garden of their primary antagonists, the Gorgs. The Gorgs were giant, furry humanoids who believed themselves the ruling family of the Universe. The Gorgs regarded the Fraggles as pests as they constantly stole radishes from the Gorgs’ garden. Unlike the Fraggles, the Gorgs didn’t eat the radishes but rather used them to make a cream to keep them from becoming invisible. The Gorgs were developed by Douglas Cook. The ever-wise Marjory the Trash Heap with Philo and Gunge (at left only). The other notable citizens of The Rock were Marjory the Trash Heap (Nelson puppet, Paulsen animated) and her assistants Philo (Goetz puppet, John Stephenson animated) and Gunge (Richard Hunt puppet, Bergen animated), designed by Frith and built by Jane Gootnick and Maria McNamara. Marjory was, as her name implies, a living trash heap living near the Gorgs’ garden that served as an oracle to the Fraggles. Philo and Gunge were rats that served as Marjory’s heralds and helped to maintain her, while also delivering bad jokes and puns. Comic book ad for NBC's fall Saturday morning line-up in 1987. The series ran on HBO from 1983-87. Near its end, it was decided to attempt to bring the series to a new audience on Saturday mornings. Henson teamed up once again with Marvel Productions and many of the people involved with their earlier hit show Jim Henson’s Muppet Babies to produce the series. Fraggle Rock: The Animated Series was essentially the same as the previous show, though the majority of the episodes were broken up into two story segments. The tradition of original music was continued with at least one per episode; however several of the songs were recycled from the original series, not including the theme song. Aside from the cast being made up of animated voice actors, the only major difference in the series was that Doc (Stephenson) was only visible from the neck down, much like Nanny (Barbara Billingsley) from Muppet Babies. In its original run, the show was introduced by the puppet version of Traveling Matt in Doc’s workshop. Uncle Traveling Matt making observations about Sprocket. Despite the successful franchise and the talented people behind it, the series failed to perform as well as its puppet counterpart. Besides the fact it was scheduled against the popular CBS series Pee-Wee’s Playhouse, the show lost a bit of the charm that could only be found in the world of Henson’s puppets. It lasted a single season of 13 episodes on NBC. 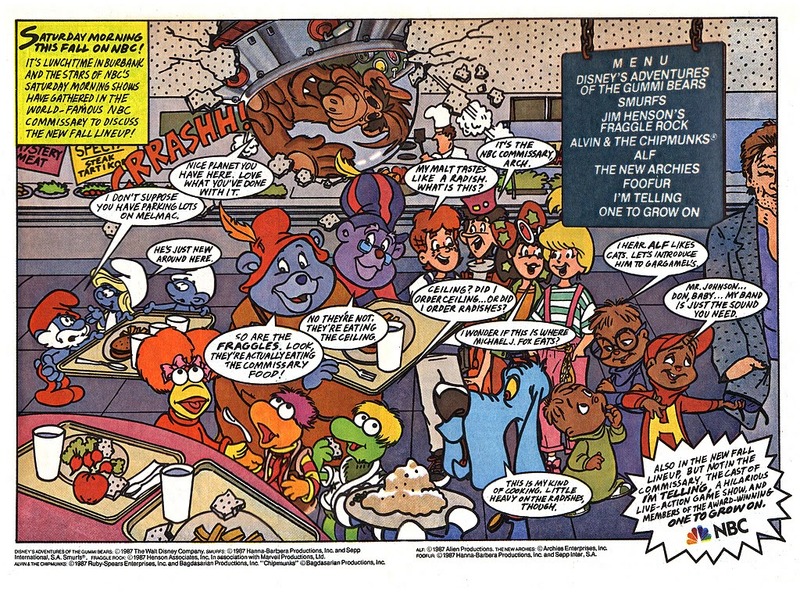 During and after the run of both series, Marvel Comics published two Fraggle Rock comics under their Star Comics imprint, lasting eight issues in 1985 and six in 1988. An interactive book was also made for Playskool’s Talk n’ Play. Various Fraggle characters appeared in future Jim Henson productions, notably several Muppets movies; however those characters were excluded from the deal when Disney purchased the Muppets franchise from the Jim Henson Company. In 2007, KOCH Records released Fraggle Rockin’: A Collection which contained restored and remastered versions of three original Fraggle Rock records with special liner notes and interviews. In 2010 and 2011, Archaia Studios Press published two three-issue mini-series based on the franchise. In 2014, Hulu began airing a spin-off called The Doozers developed by the Jim Henson Company and DHX Media. “No Fraggle is an Island” (9/12/87) – Fraggle Rock becomes too crowded and the Fraggles choose to move away, allowing a Slurp to take it over. “Big Trouble for a Little Fraggle / Necessity is the Fraggle of Invention” (9/19/87) – A magic stone causes Wembley to grow and be mistaken for a Gorg by Junior. / Wembley has trouble coming up with an invention until he needs one to save Marjory. “The Great Radish Round Up / Lucky Fargy” (9/26/87) – Pa has Junior hide their radishes and replace them with Banoony Berries, which make Fraggles sick. / Wembley accidentally loses the lucky doll Mokey gave Boober. “A Fraggle for All Seasons / A Growing Relationship” (10/3/87) – Mokey tries to find a Fraggle for all seasons after being inspired by ancient philosophers. / Red enters a flower from Doc’s workshop in a contest, which soon ends up growing out of control. “The Best of the Best / Where No Fraggle Has Gone Before” (10/10/87) – Red’s attempts to break her records from last year causes problems for her friends. / Gobo and Wembley climb the Gorg’s castle to reach the top of the universe. “Gobo’s Song / Wembley and the Bemble” (10/17/87) – Cantus the Minstrel sends Gobo back to prehistoric times when Gobo begins to question the importance of making maps. / A scary story leaves Wembley afraid of the legendary Bemble. “Ambassador Gorg / Homebody Matt” (10/24/87) – Pa sends Junior to invite the Fraggles to form a peace treaty. / A blow to the head leaves Matt forgetting he’s an explorer. “The Great Fraggle Freeze” (10/31/87) – Doc’s workshop loses heat, having a dangerous effect on Fraggle Rock. 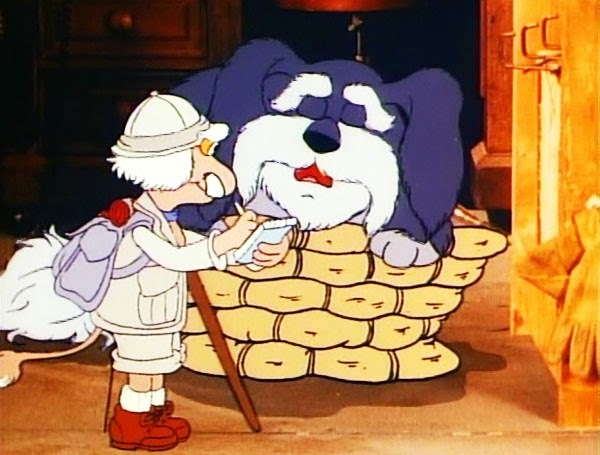 “Laundry Never Lies / What Boober’s Nose Knows” (11/7/87) – Wembley discovers Boober’s talent of detecting the odors on clothing. / Boober’s nose tracks his favorite sweet water to the Gorg’s castle. “Mokey’s Flood of Creativity / What the Doozers Did” (11/14/87) – A poem Mokey is asked to recite at an event seems to cause a great flood. / Lugnut and Rhinestone doubt Cotterpin’s floating construction until the flood hits the caverns. “Red’s Drippy Dilemma / Fraggle Babble” (11/21/87) – Red’s swimming is interrupted by a burst pipe. / Mokey has Convincing John convince everyone to make up a new vocabulary. “The Radish Fairy / The Funniest Joke in the Universe” (11/28/87) – Red dresses as the Radish Fairy to convince Junior to put his radishes in Fraggle Rock to avoid a famine. / Boober’s new joke causes anyone who hears it to laugh continuously. “Fraggle Fool’s Day / Wembley’s Trip to Outer Space” (12/5/87) – One of Red’s jokes backfires, leaving her trapped with Mokey in the Gorgs’ garden. / Too many decisive decisions gives Wembley Wembliosis, whose only cure is a good scare.